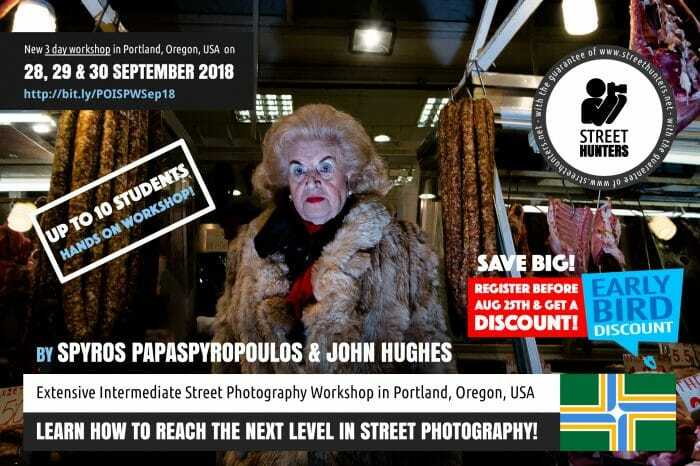 Announcing the Intermediate Street Photography Workshop in London, UK! 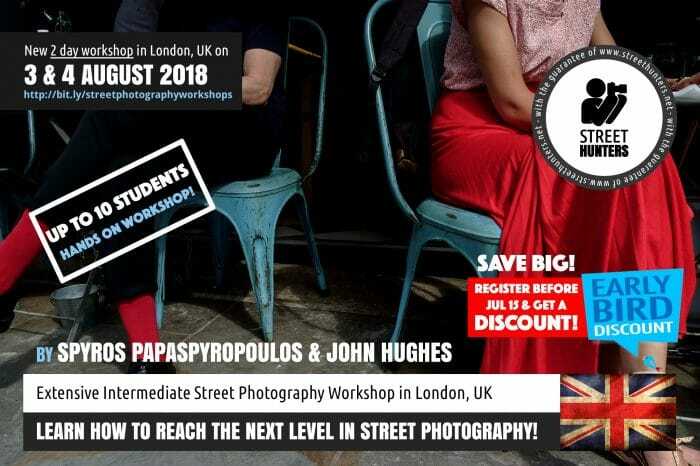 THE INTERMEDIATE STREET PHOTOGRAPHY WORKSHOP IN LONDON, UK! Have you reached a point in your Street Photography where you feel you need that extra push in order to get the results you need but you just can’t seem to get there? Have you found that you are repeating yourself and can’t produce results that get you excited any more? Don’t worry. This happens to all of us. All you need is a mentor to get you back on track and help you find yourself as a new and improved street photographer. A street photographer that has evolved into the better version of himself. This time I am not alone! Enjoy the benefits of a Workshop Taught By Two Tutors! This time I will not be teaching alone. 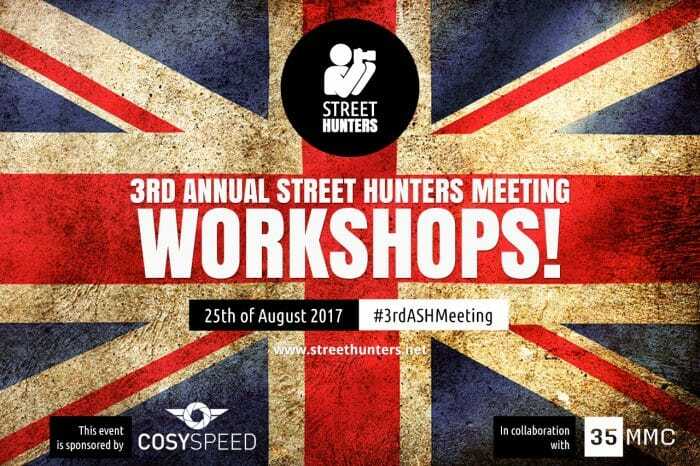 I am very excited to announce to you all that I will be teaching alongside Associate Street Hunter John Hughes. John is a British Street Photographer from UK that is based in Bury St Edmunds, UK. 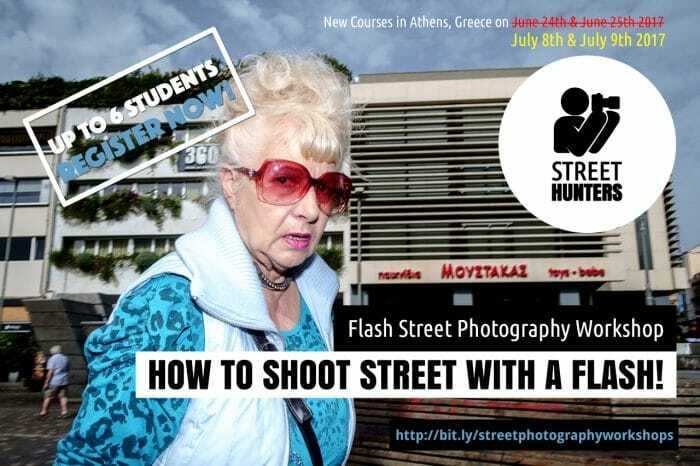 Announcing the Beginners Street Photography Workshop in Thessaloniki, Greece! 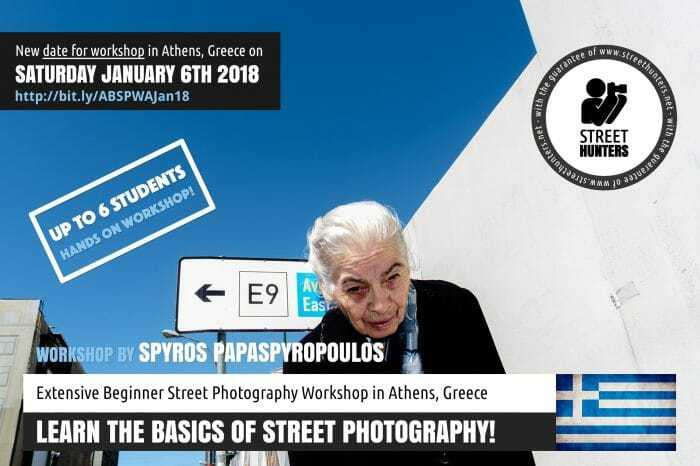 The Beginners Street Photography Workshop in Thessaloniki, Greece! I know how overwhelming it can be for you, the beginner street photographer, to look through all the options street photography has to offer, organise all information available from various sources, choose what is best for you and select your path. I know this first hand. It took me many years to finally find myself as a street photographer. Through this course, I want to share with you what I have learned through the years, help guide you on your path and try to inspire you to see street photography from a different perspective. 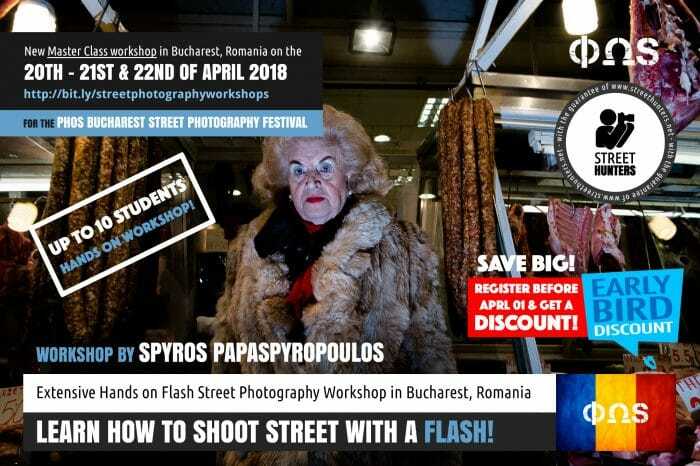 I will teach you composition techniques, lighting techniques, some basic theory about the masters of photography that have set the foundation for modern street shooting and many other things which you will find listed below in the course notes. However my most important goal will be to teach you to be yourself and how not to be afraid to express your emotions through your photography. A workshop taught by two tutors! But this time I will not be teaching alone. 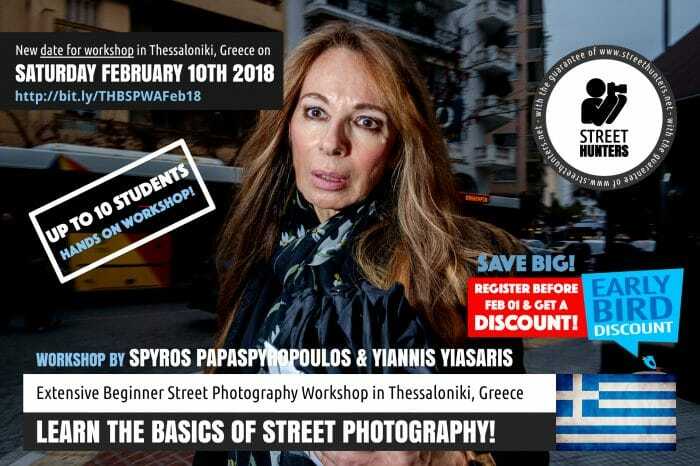 I am very excited to announce to you all that I will be teaching alongside acclaimed Street Photographer Yiannis Yiasaris. Yiannis is a Greek Street Photographer from Thessaloniki that is based in Melbourne, Australia. He is a world famous published photographer that has won numerous awards and has had his work exhibited many times. 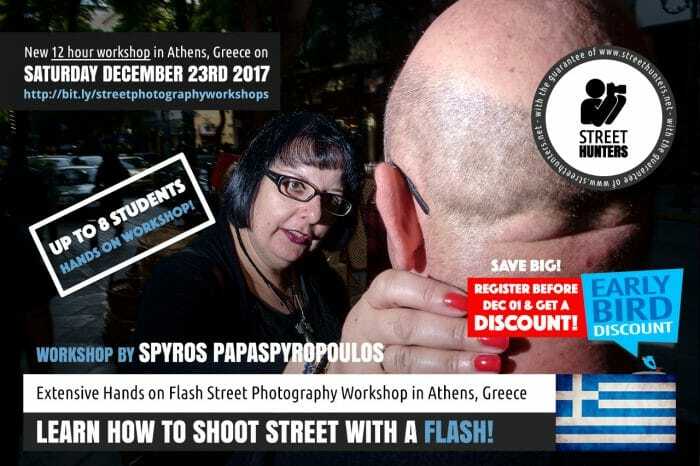 He will be travelling to Thessaloniki this February to teach this exciting workshop with me in his beautiful hometown. For more information on Yiannis Yasaris, please read the Tutors section below. Due to health reasons, I had to postpone the original workshop that was scheduled for the the 27th of December. The new date is now the 6th of January! So there is still time to register. Hurry up, only 2 spots left as of writing this. 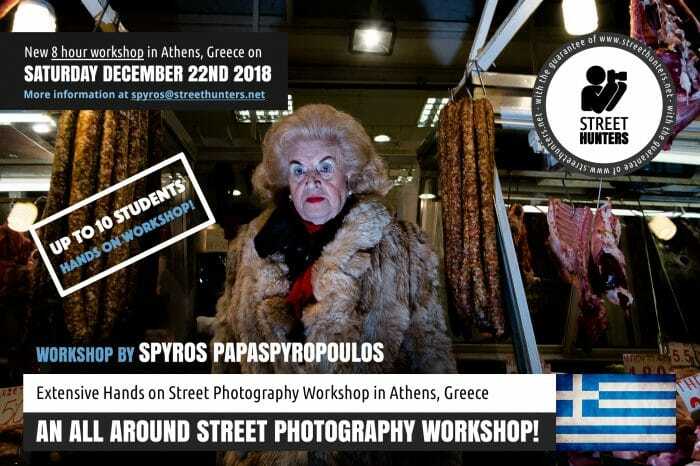 Announcing the Christmas Beginners Street Photography Workshop in Athens, Greece! I know how overwhelming it can be for you, the beginner street photographer, to look through all the options street photography has to offer, organise the information, choose what is best for you and select your path. I know this first hand. It took me many years to finally find myself as a street photographer.